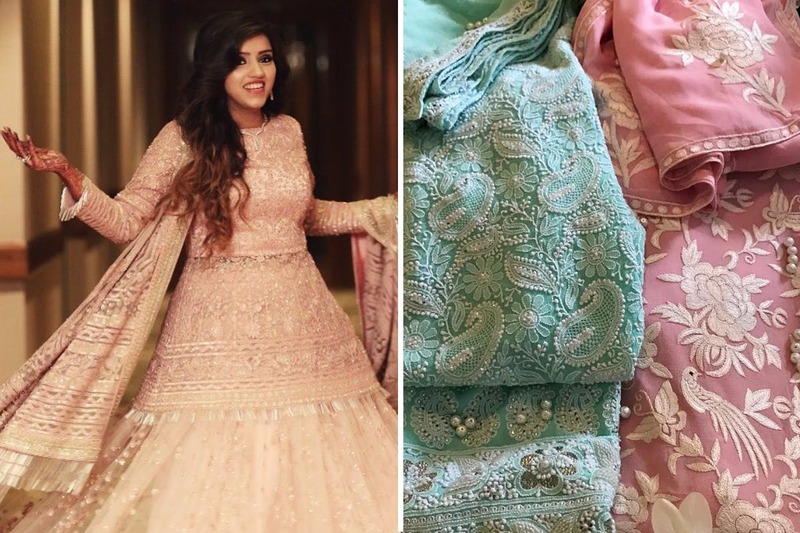 When we think of lehangas and gowns, we imagine floaty, ethereal periwinkle material that has the capacity to make anyone look stunning, and Shimmers Design Company in Malad has managed to capture the same thought & convert it into a reality. A store that caters to all types of wedding needs, Shimmers Design Company sells suits, gowns and lehangas. From georgette to different silks, satin to handloom prints, patola to Benarasis, even embroidery from Kolkata and a variety of other materials are used to craft their gorgeous designs. We stumbled upon them by chance and are so glad that we did, because their collection truly stands out. You’ll find designs and patterns in different shades and textures that flow through your fingers with such ease. Their lehangas stand out, giving some of the biggest brands some competition, and when you try them on, you know you want to own a piece. Their price range starts from INR 5,000 and can go up to INR 2.5 lakhs. Truly worth it, if you ask us. They also have a beautiful saree collection in the same store, with sarees from all parts of the country. In case you’re looking for embroidery work, just ask them to show you their range.